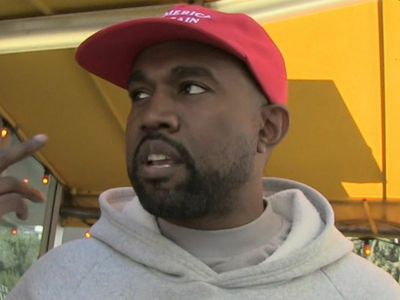 1:14 PM PT -- If you were planning on attending any future Kanye concerts, be prepared to see that MAGA hat of his ... 'cause Ye says he'll be performing with it from now on. 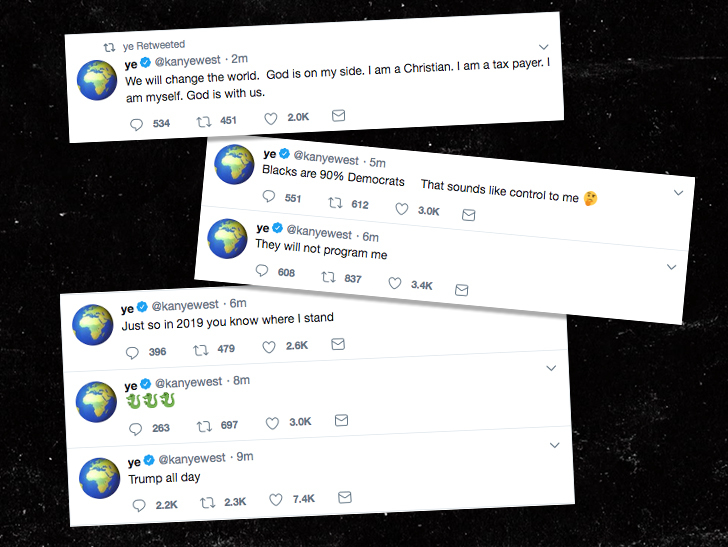 Kanye West is making it quite clear to kick off the new year -- he's still on the Trump train heading into 2019. Ye went on another Twitter rant Tuesday proclaiming his unwavering devotion to President Trump, saying ... "Trump all day." He continued by saying, "Just so in 2019 you know where I stand." 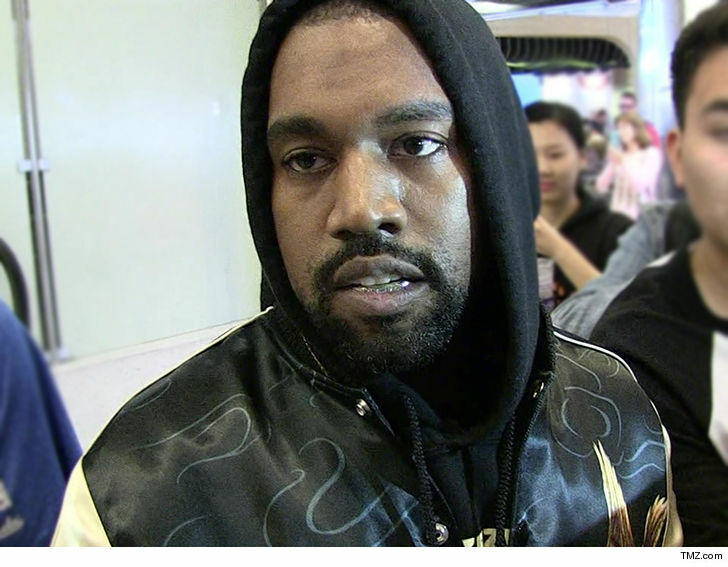 The political line of logic continued with Kanye saying, "They will not program me," and adding, "Blacks are 90% Democrats That sounds like control to me." He followed up by saying, "Love everyone," and "We will change the world. God is on my side. I am a Christian. I am a tax payer. I am myself. God is with us." It should be noted ... Kanye is currently retweeting love and support being sent to him at an alarmingly rapid pace. 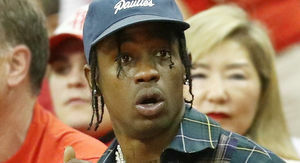 The new tweets follow his latest attack against Drake for following Kim Kardashian on Instagram last year. It also appears to be the first direct mention of politics ever since Kanye announced he'd be putting a pause on political talk and focusing on being creative. Speaking of Drizzy, Kanye addressed his ongoing feud with the guy, saying "I love Drake 2019 we will all heal." BTW -- Kanye also seems to be teasing a presidential run for 2024. New year ... same Ye.